QR Codes are unique barcodes that get added to product packaging, fliers, promotional content, in-store print media and other off-line media. Want an affordable and convenient way to drive offline traffic to your business? Use QR codes on all your offline media such as fliers, ads, posters, etc. Put QR codes on your restuarant menu to encourage patrons to visit your website to find additional value like recipes, information and sources of ingredients, reviews, coupons, etc. Use a QR codes to help people register for your next event. QR codes have been proven to get people to actually want to take your surveys and share their feedback. While someone is waiting in line, seated at a table, or finishing up at the register, he/she can take a quick survey by using their smartphone's QR reader (and phone camera). It’s alot more convenient and generates better results for your business. Add your QR code to review sites like YP to link directly to your website where you can ask customers to log on and share their thoughts. As you use QR Codes in your media, keep in mind your goals, how placement location makes sense and add a call-to-action to get your customers to use their cell phones to scan your code and take action! The goal should be to drive more traffic AND provide something valuable to your customers. 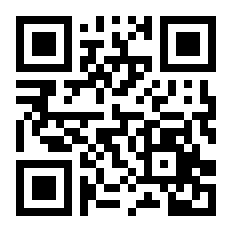 All our customers receive with a branded QR code for their mobile website.